The Black Taurus 660 Charcoal Barbecue from Landmann has a host of features that will ensure successful and tasty barbecuing time after time. 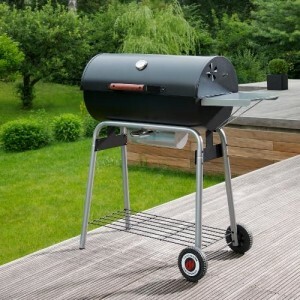 Solidly built and hosting an abundance of features, including a lid thermometer, removable side shelf and large warming rack, this barbecue will easily cater for up to 10 people. The 3 part cooking grill and charcoal grid are enamelled for longer life, thus ensuring barbecue success for many seasons to come.